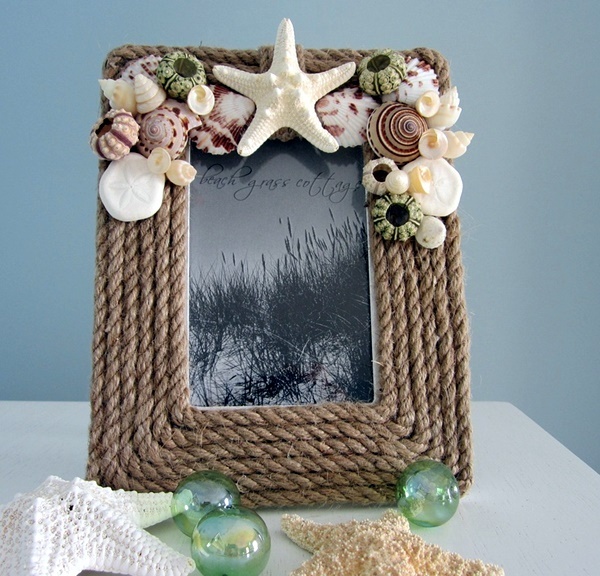 Arts and crafts are such a source of relief from the stresses that life brings and that is probably the reason they are considered part of therapy in many healthcare units. 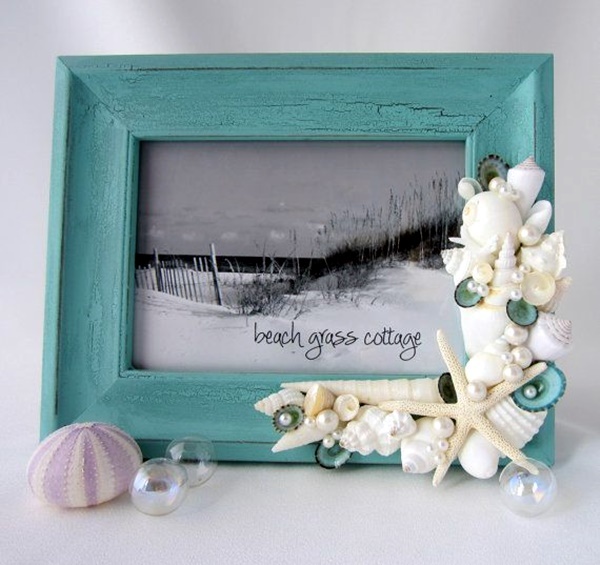 And you have to remember that just because it comes under the purview of art and crafts does not mean that it has to be difficult or expensive. 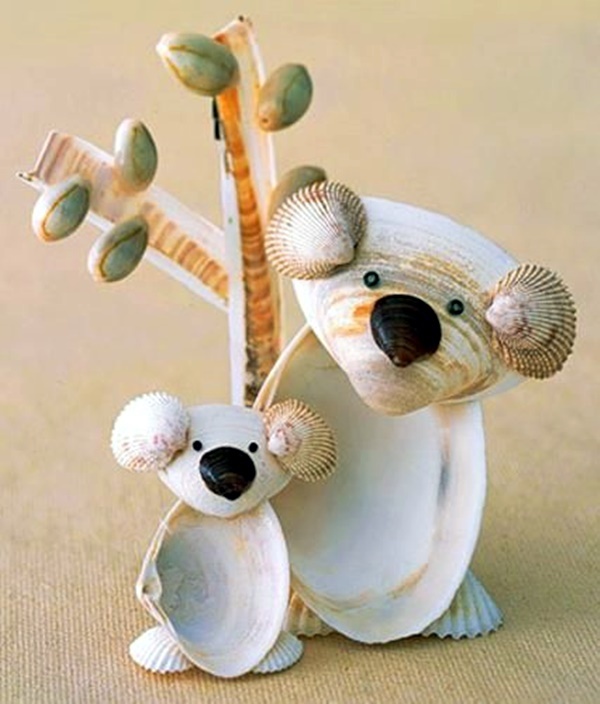 In fact there are so many crafts that use simple everyday things that you need not worry much on that count. 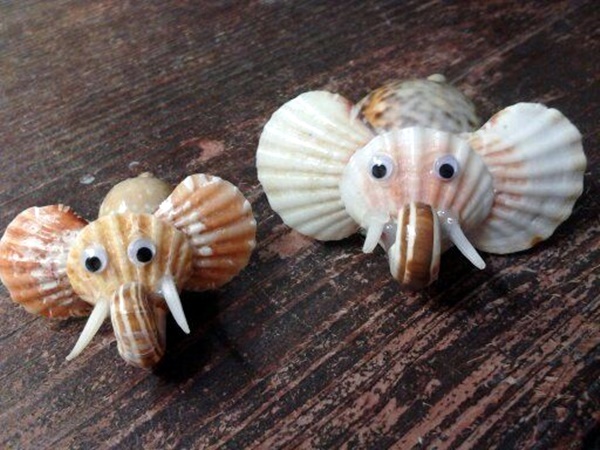 As far as the skill or talent to undertake such crafts is concerned, you can pick up the skill and develop it if you are really serious about them. 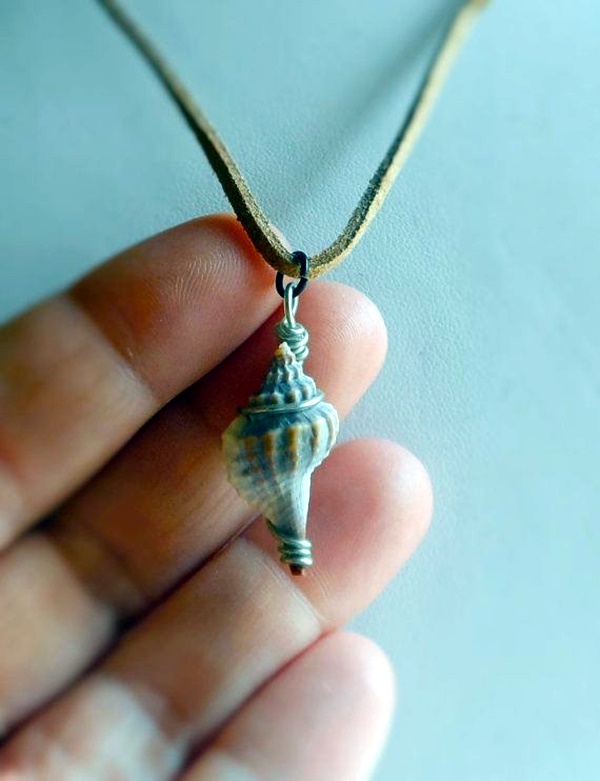 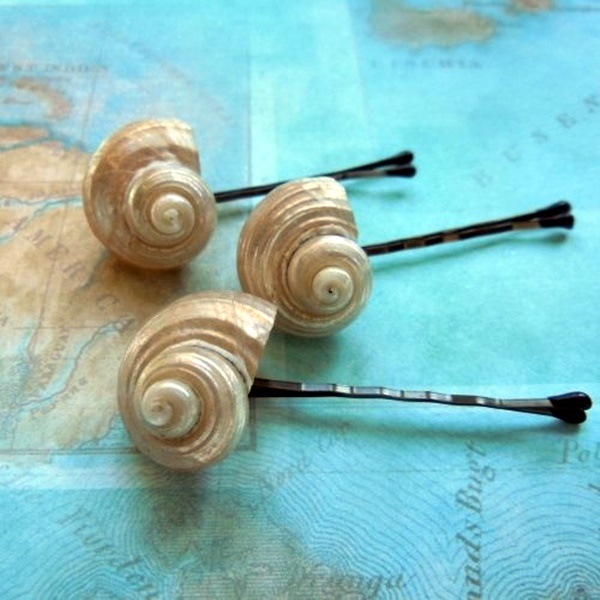 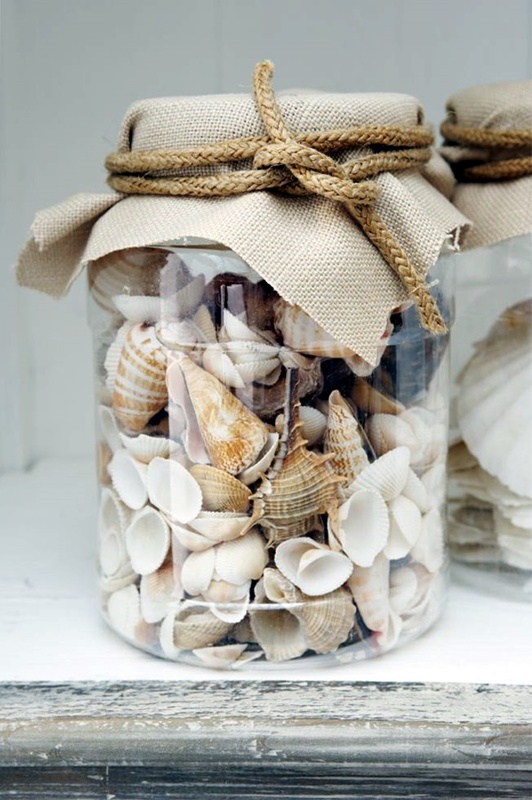 Take for instance crafts with shell, a gift from the sea, which is both charming, easily available and if you are willing to trawl the shores of the sea, then inexpensive. 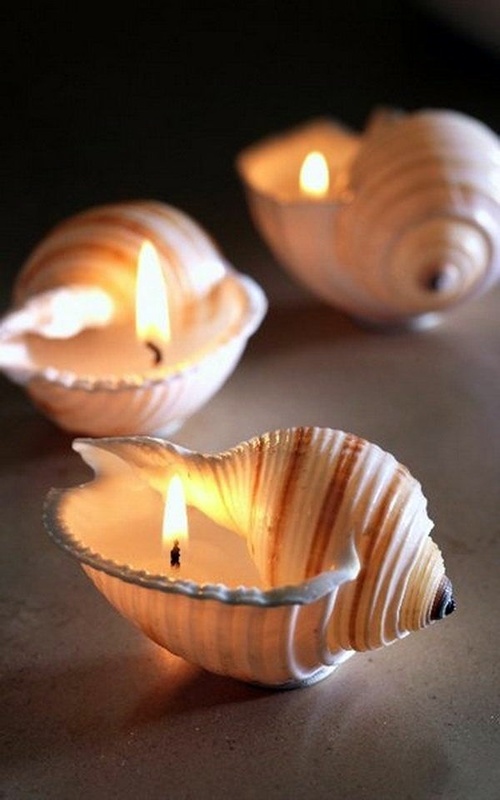 Unlike egg art, which is extremely simple, delicate and enchanting, the shell craft is more durable and can handle rougher handling but nevertheless very enchanting. 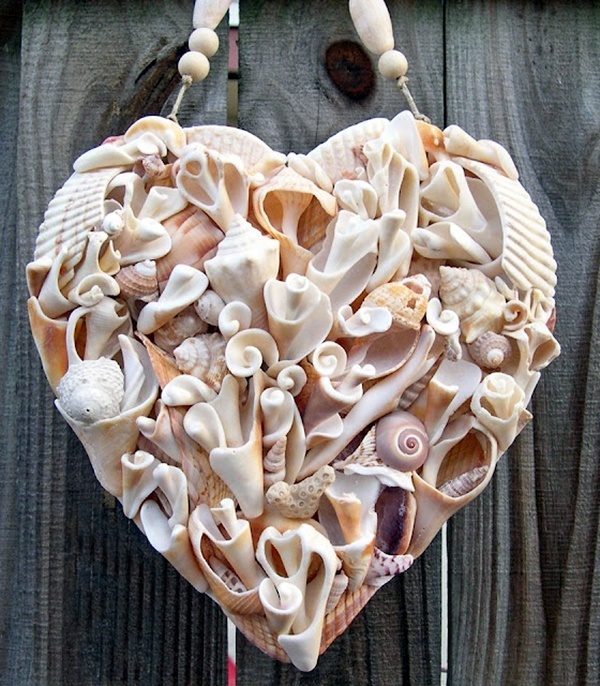 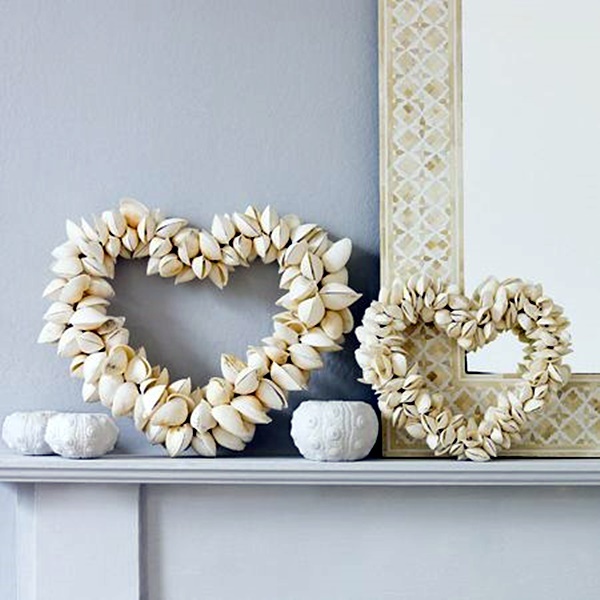 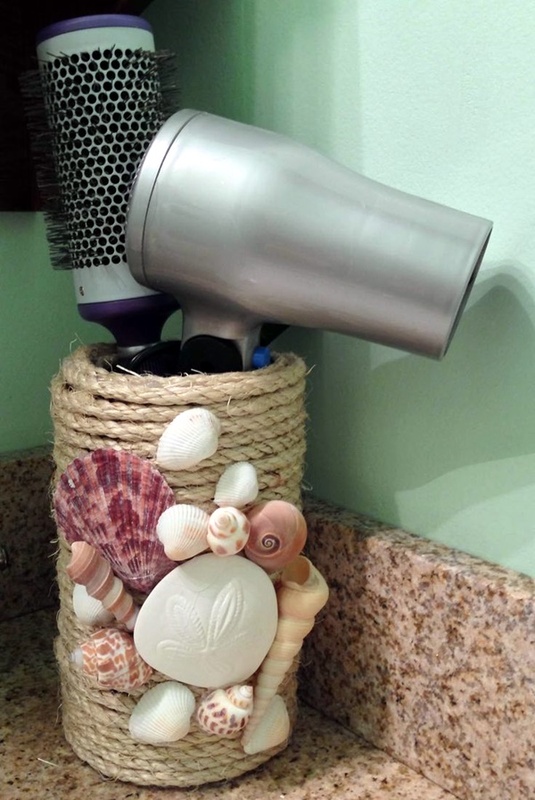 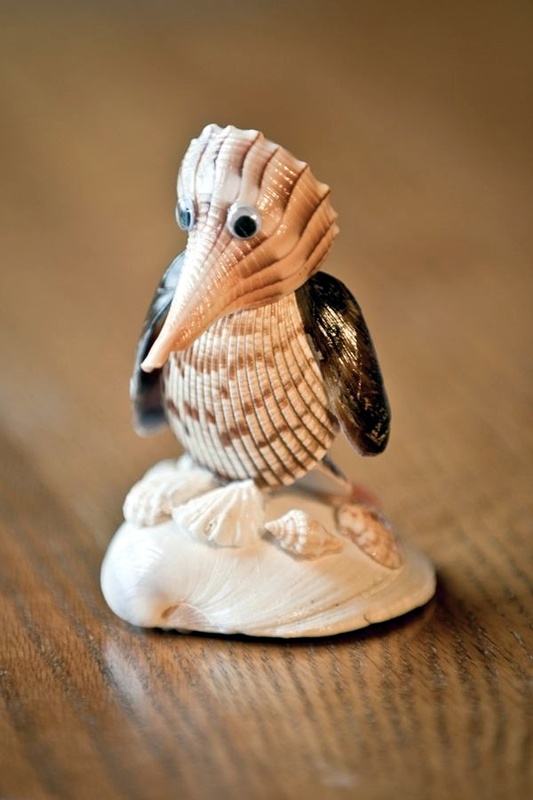 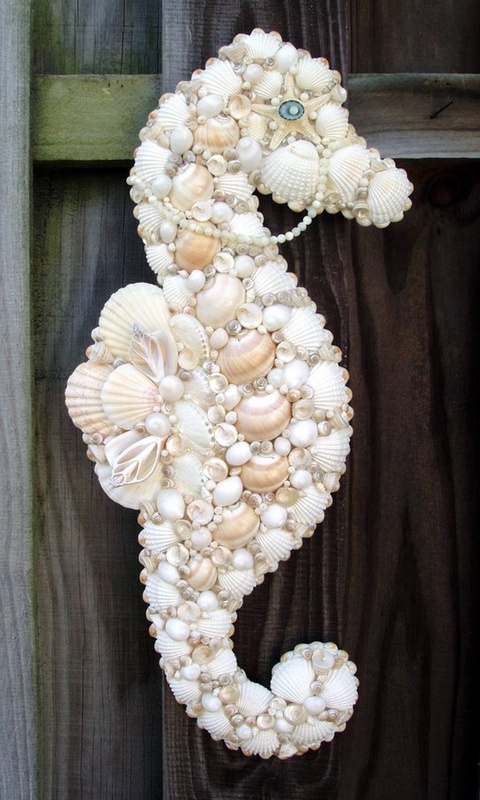 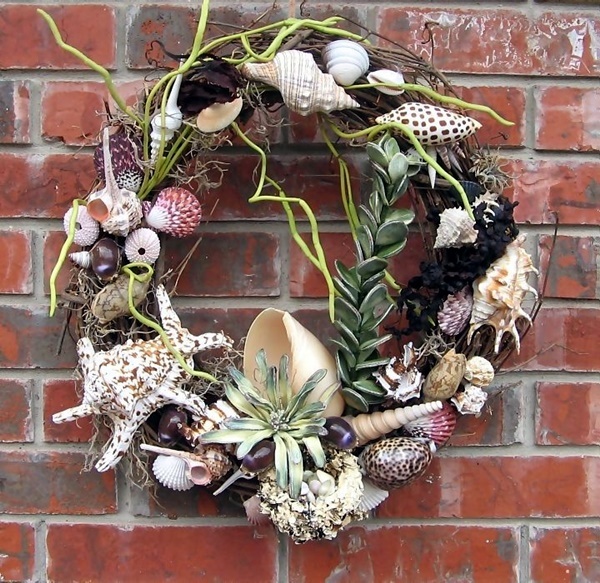 You can use shell crafted pieces as part of your rustic decorating ideas for the home. 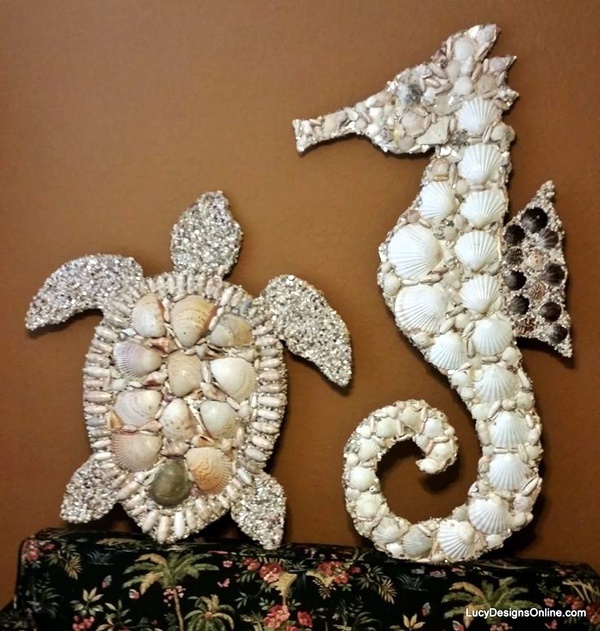 The thing about shells is that they come in different shapes and sizes not to mention colors. 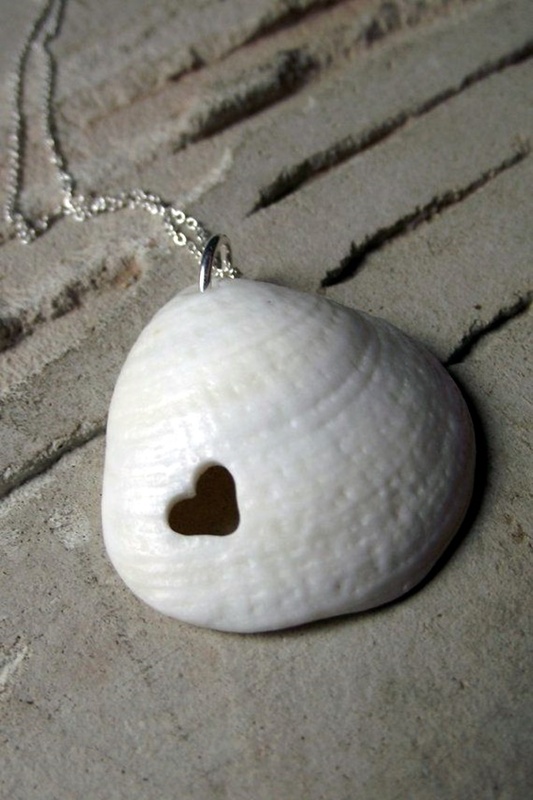 In fact, you may have noticed that some seashells from a particular beach is entirely different from another one. 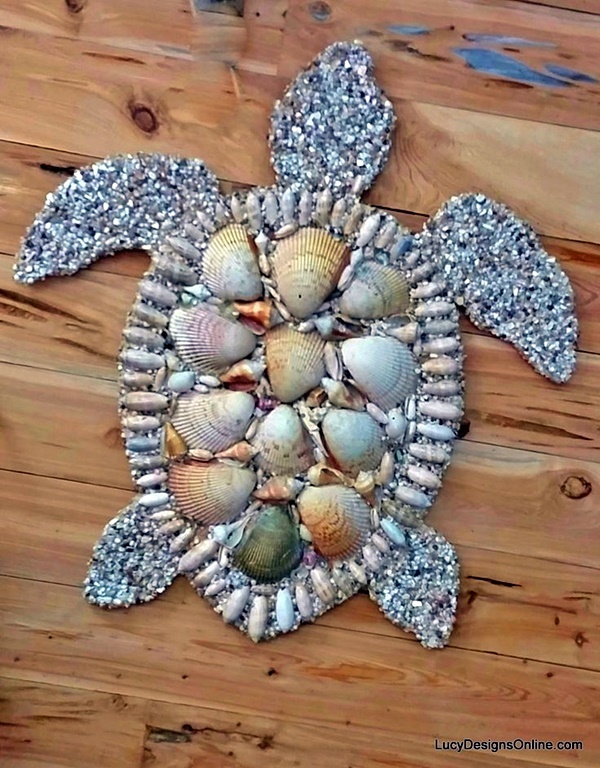 Well, this is not going to be a lesson about seashells and their origins, but about the kind of arts and crafts you can do using seashells. 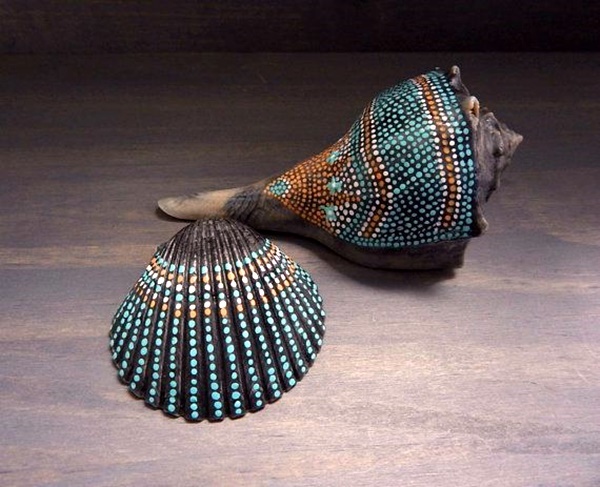 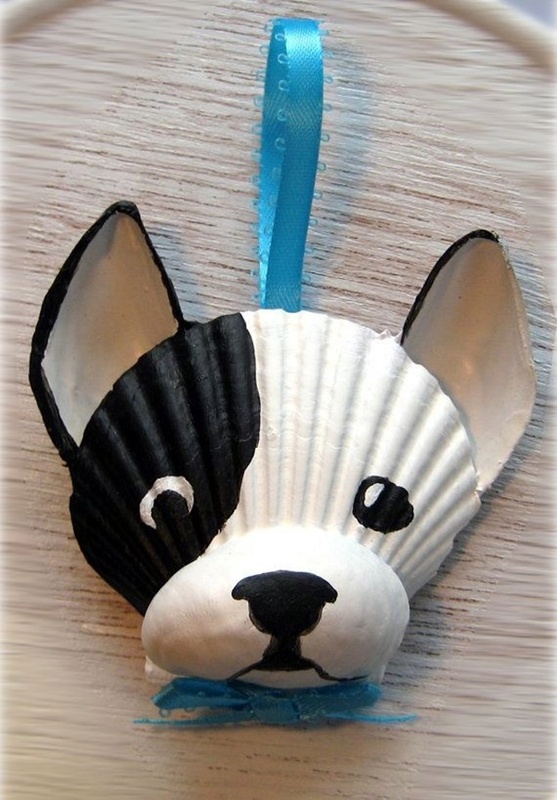 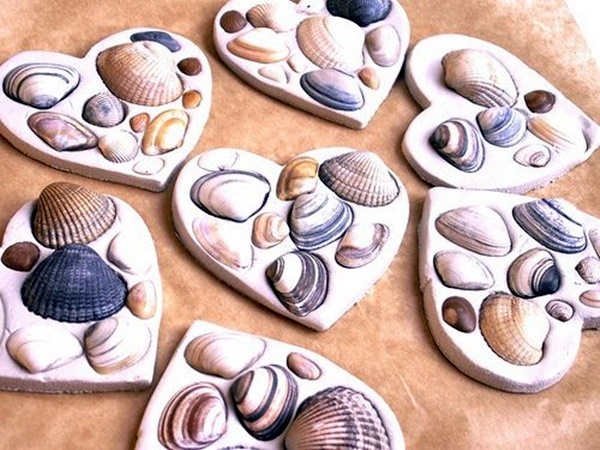 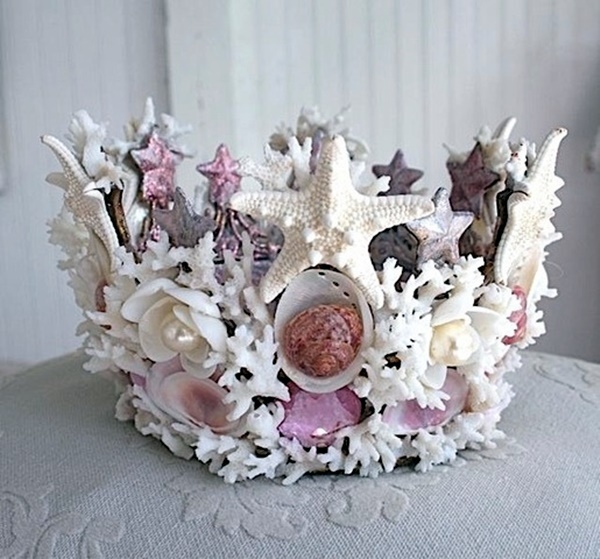 When it comes to the crafts using seashells, which are both beautiful and magical, there are some supplies and skills that you will have to have on hand. 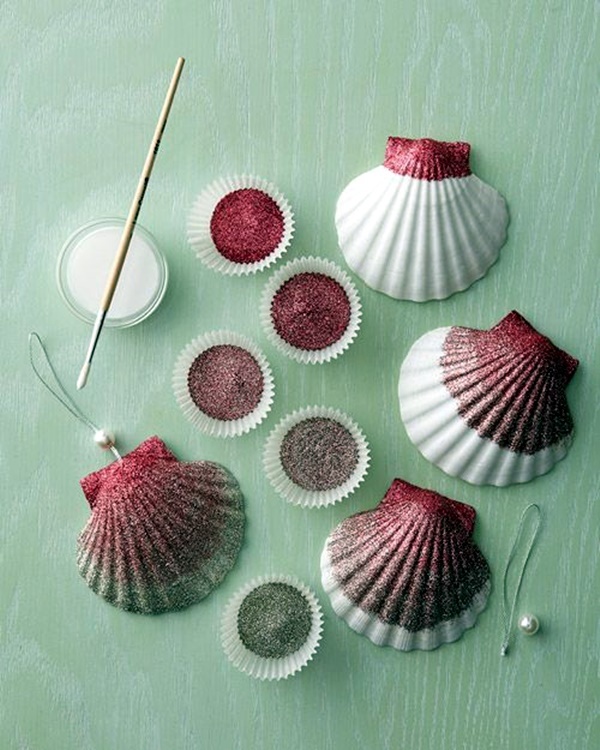 For instance, you will need to know how to pierce holes in shells without damaging them. 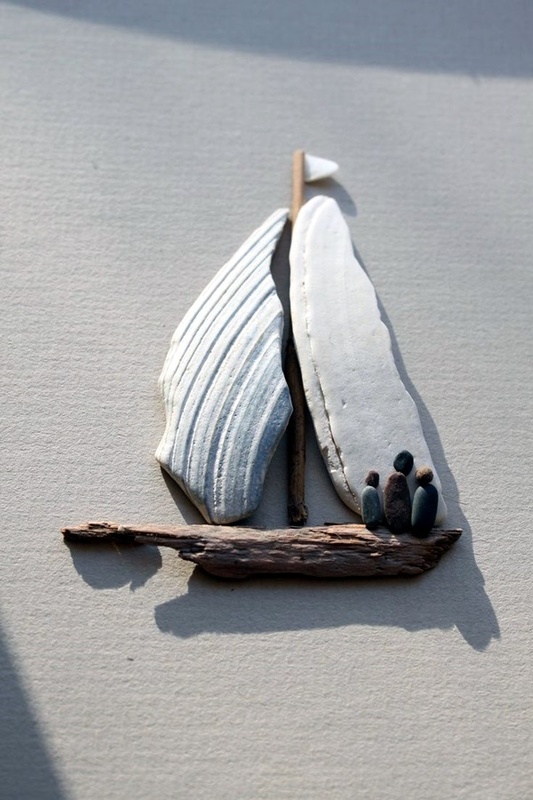 And you will need to have plenty of good quality glue to stick them on to whatever project you are working on, if it is needed. 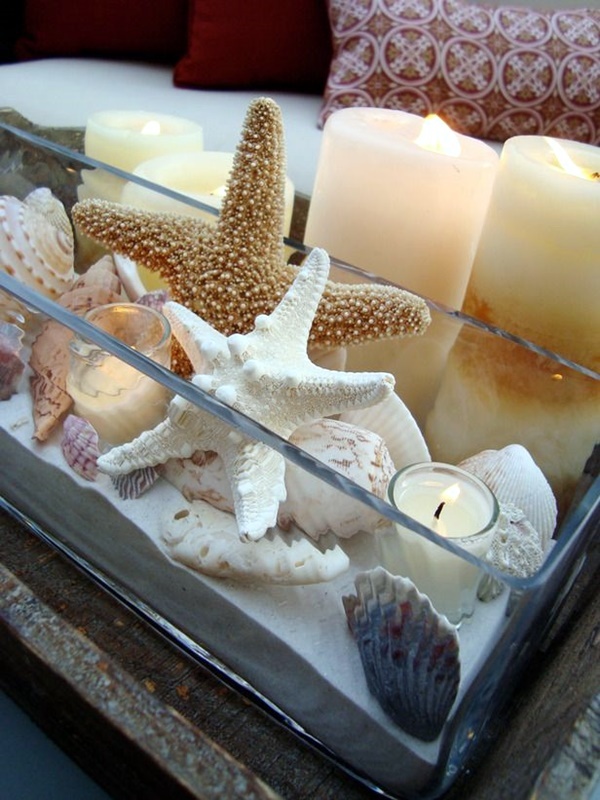 Seashells in transparent glass vase: If you have a clear glass vase at home in which you put fresh flowers, then a good idea would be to line up some cute and pretty seashells at the bottom of the vase. 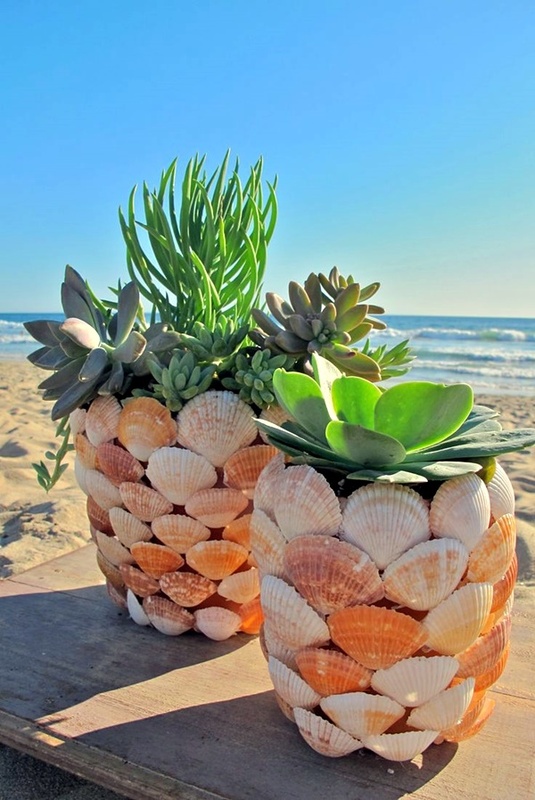 You can pour water gently on top and then place the flowers in the vase as usual. 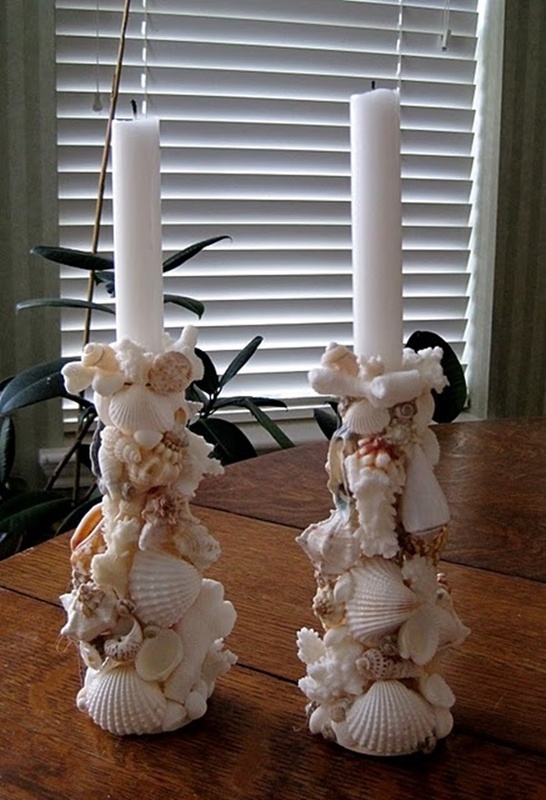 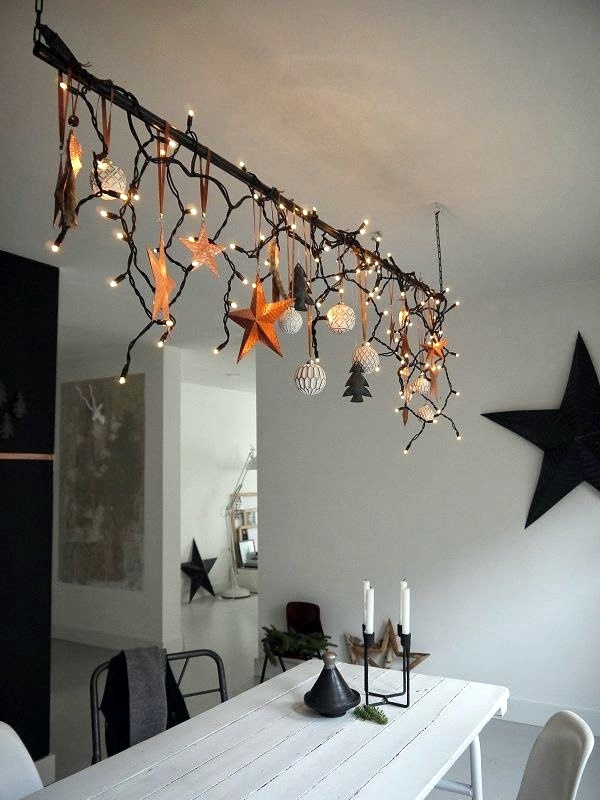 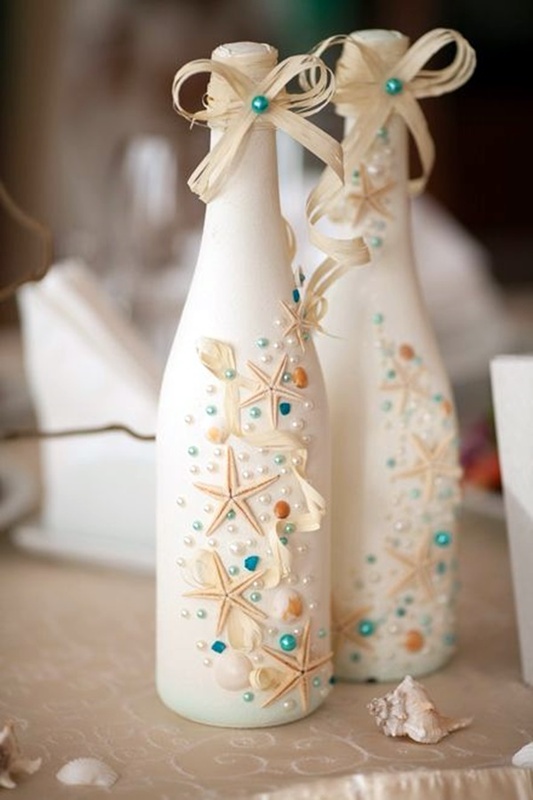 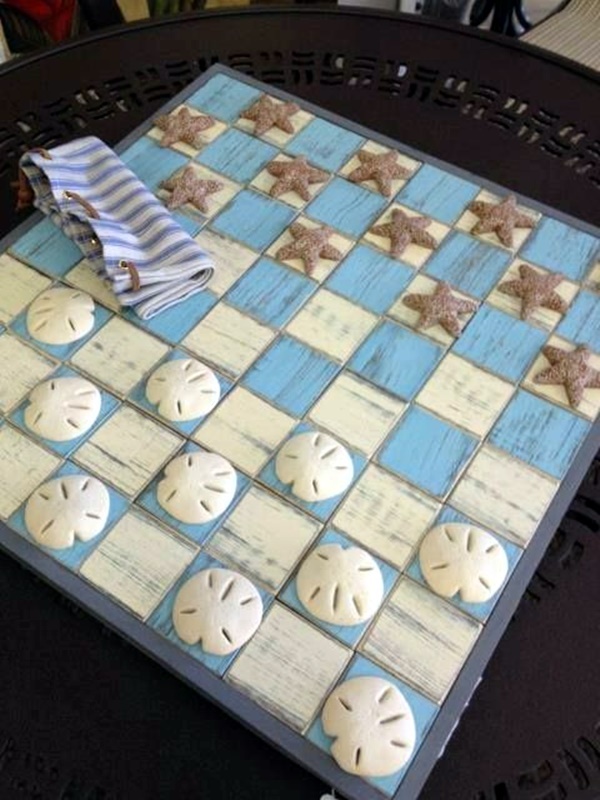 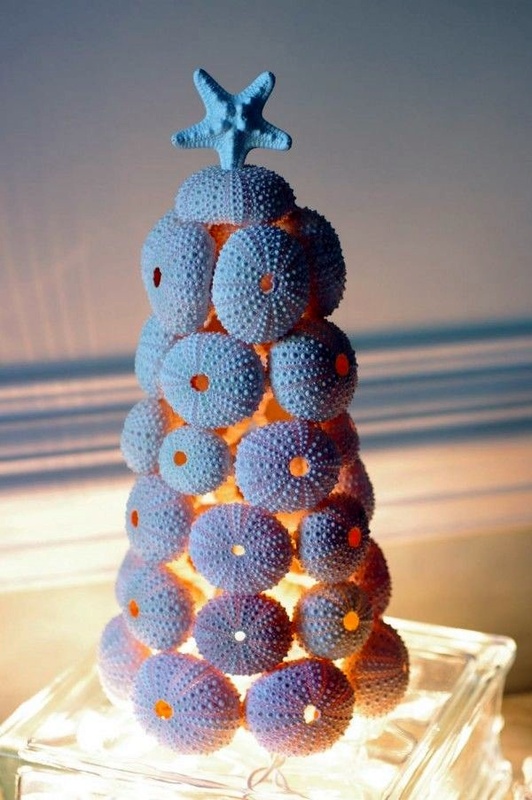 It will almost create a bottom of the ocean kind of look and will add a lot of charm to any area you place it in. 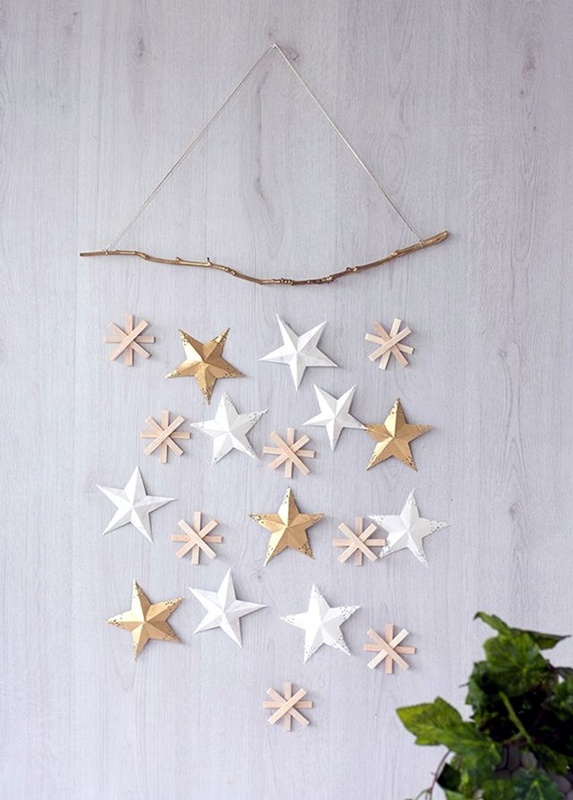 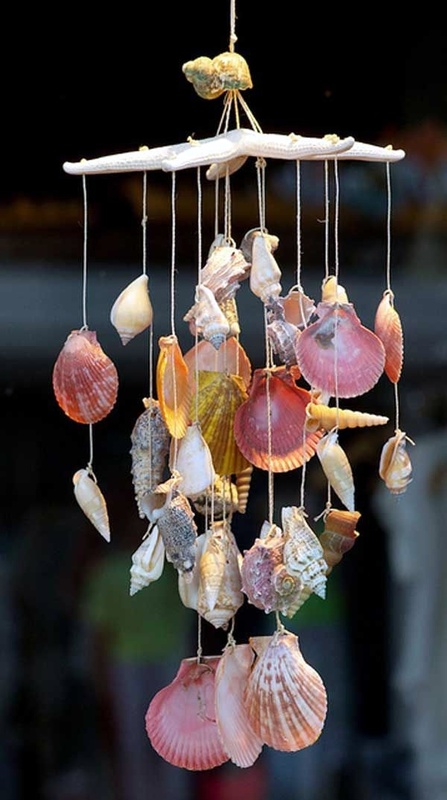 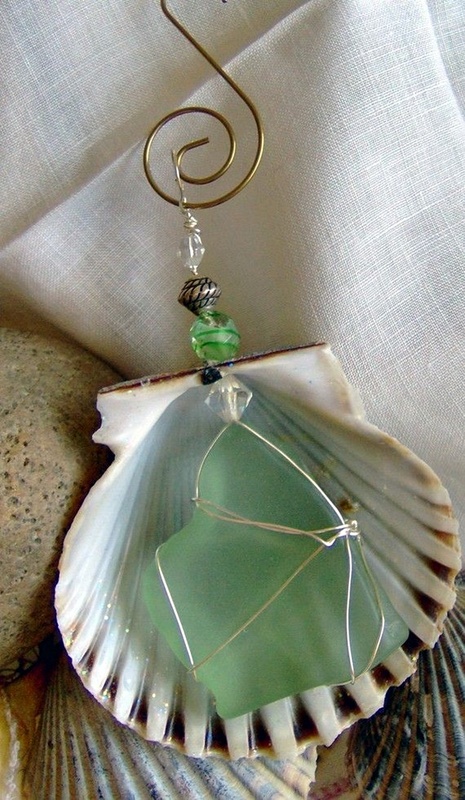 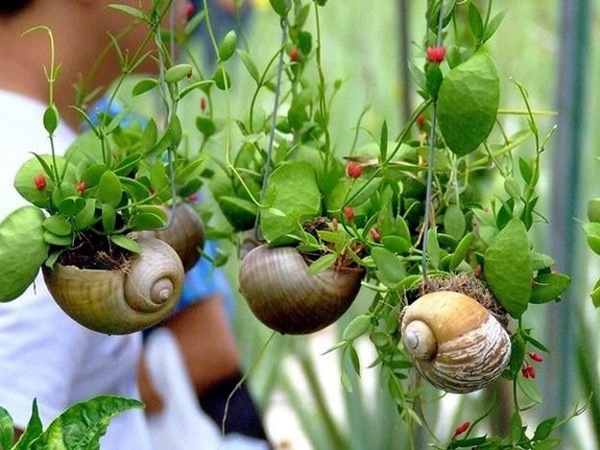 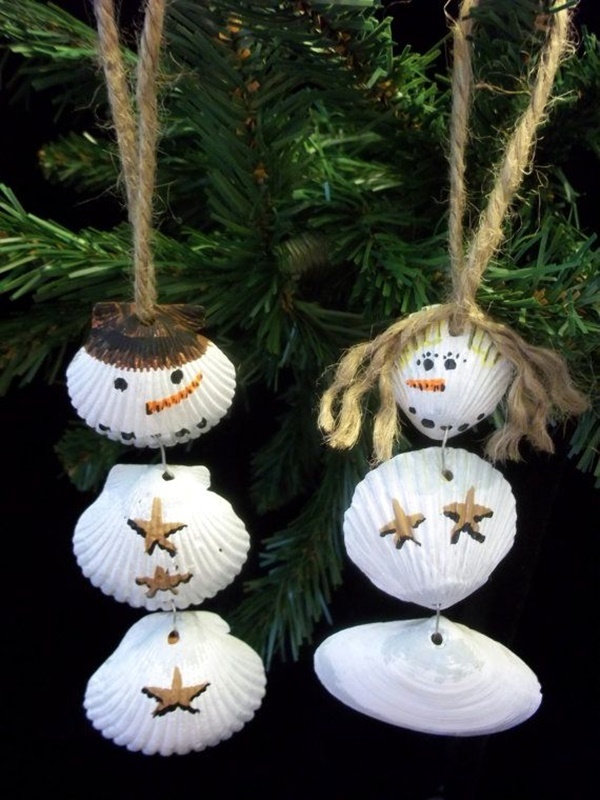 Seashell wind chimes: Seashells can be strung together and made into the form of a wind chime to ring and make special sounds as the wind blows. 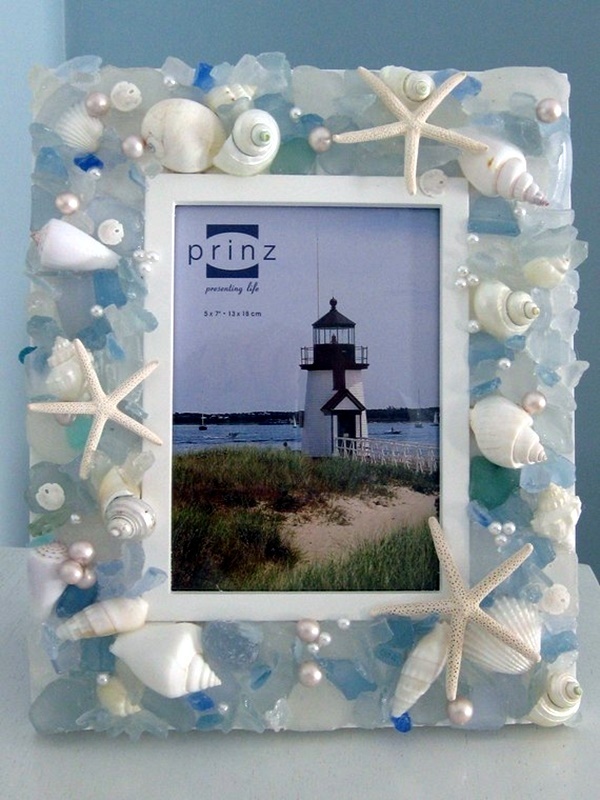 We cannot think of a more charming idea to remind you and your family of the sea if you do not have daily access to the ocean. 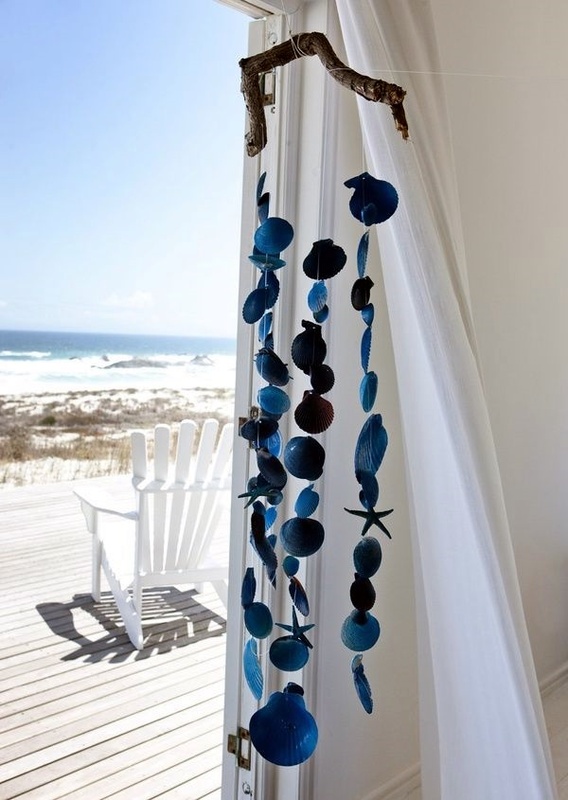 Seashell curtain: Often we have a simple curtain to just decorate one area or to show separation of one area from the other when rooms are combined like a sitting room combined with a dining area. 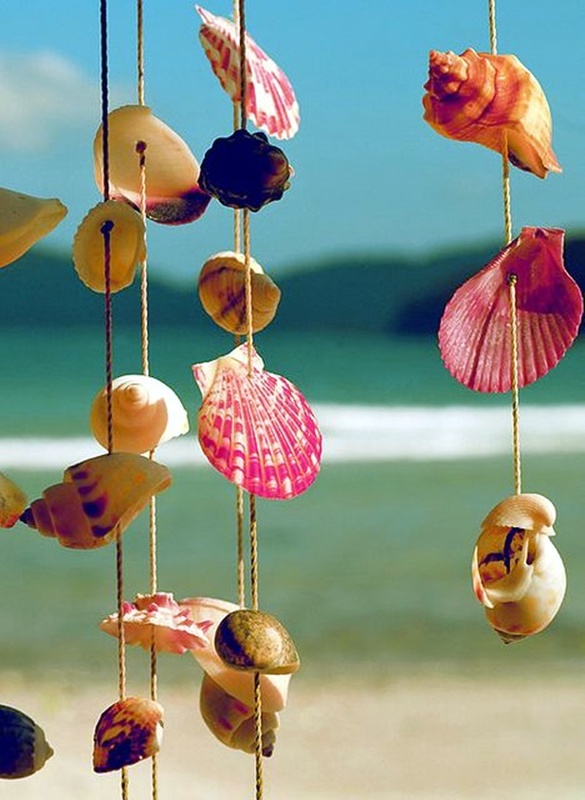 It would be a very pretty and picturesque idea to make this curtain out of seashells. 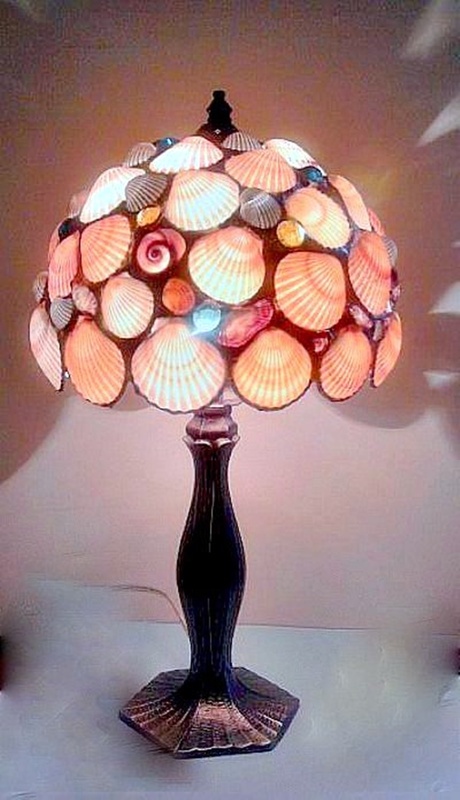 Seashell lamps: Sticking seashells on the lampshade is another way of keeping the beach near you short of actually visiting it. 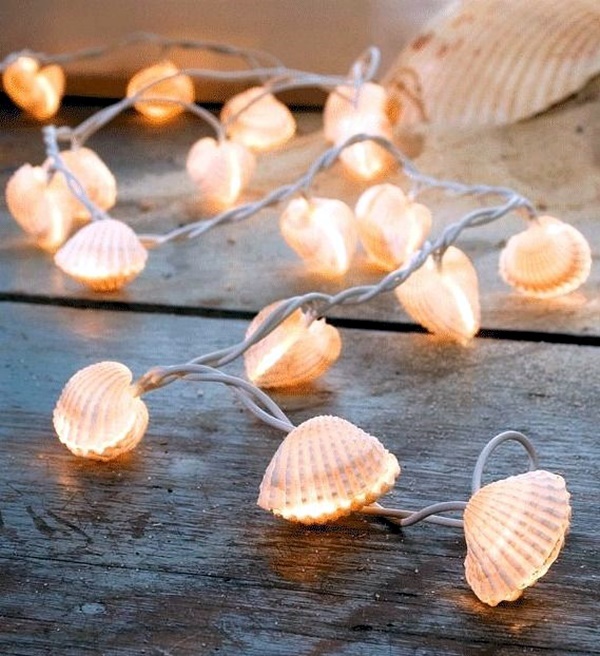 Do ensure that the wiring and the lampshade are not affected by the weight of the shells or due to the use of the adhesive. 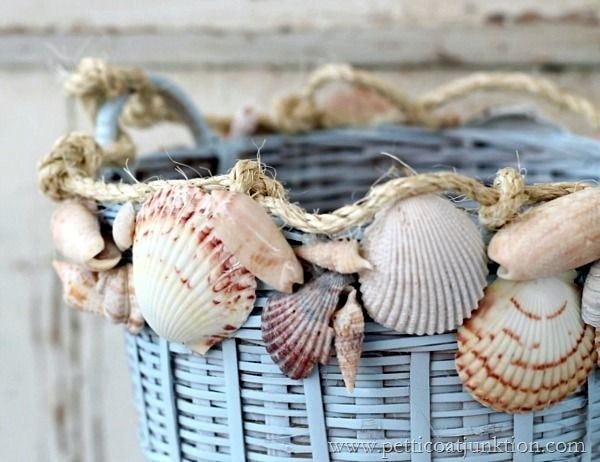 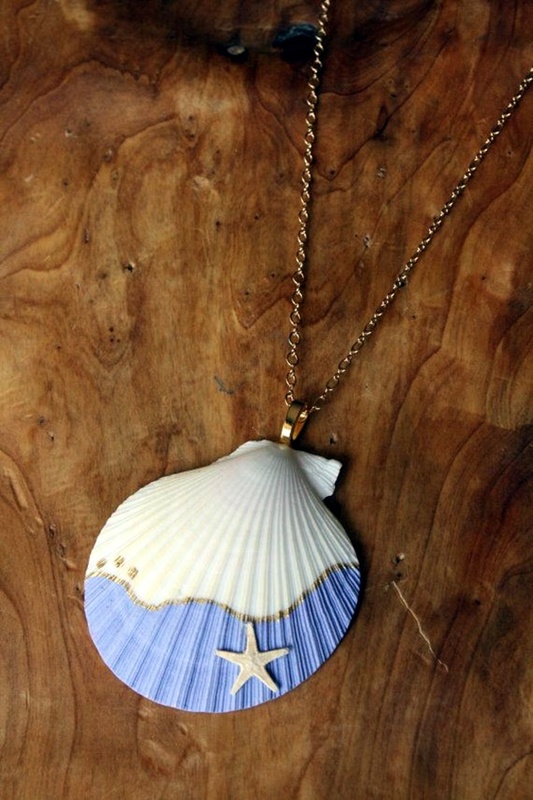 We are sure that by now you are eager to get your hands on some seashells so that you can try some on your own.